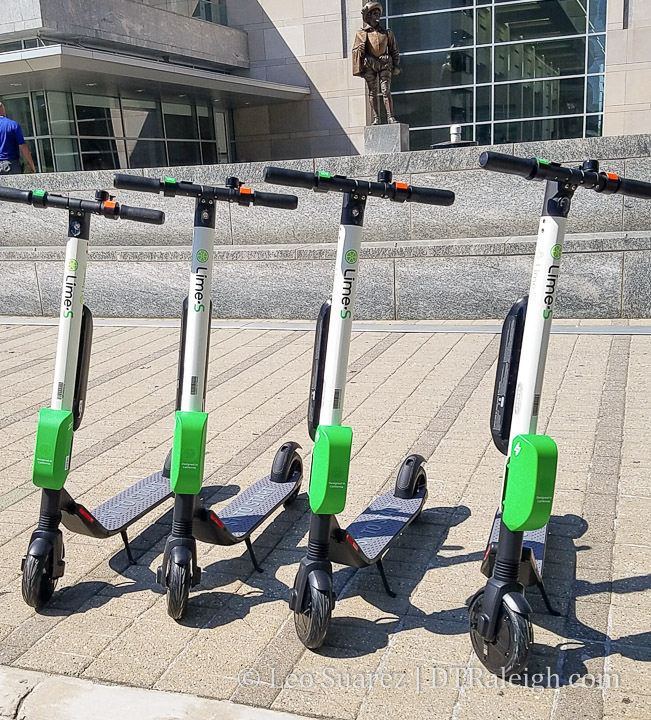 This week, Raleigh’s first electric, dockless, scooter share system launched with over 100 scooters deployed throughout downtown Raleigh, Cameron Village, and other parts. 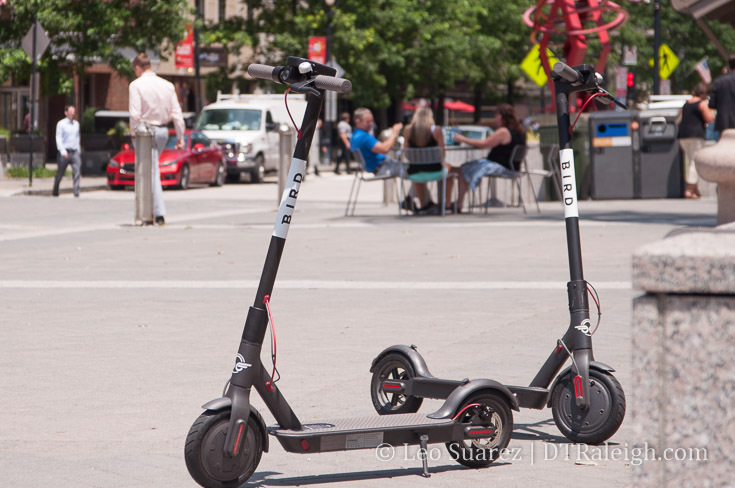 Bird is the first one out of the gate for Raleigh as other cities have multiple vendors. FYI. Yours truly saw Lime scooters zipping around Raleigh so who knows if they too will add scooters next alongside their bikes here in town. The concept is similar to how dockless bike share works. You use a smartphone to create an account, check out a scooter, and you are on your way. The cost is a $1 per ride plus 15 cents per minute. If you want to try them out for free, use the same discount code I did which is BIRDRALEIGH. For me, I’ll always prefer bicycles as they are easier to use and frankly, downtown streets are not the smoothest. My short scooter ride was a bit bumpy but perhaps it’s just my first time out. For anyone concerned about using these on sidewalks, I’ve realized that the street is MUCH more preferable. Going up and down curb cuts are not very smooth and the bike lanes look more tempting honestly. They are fun, they are easy. Welcome to Raleigh, Bird! 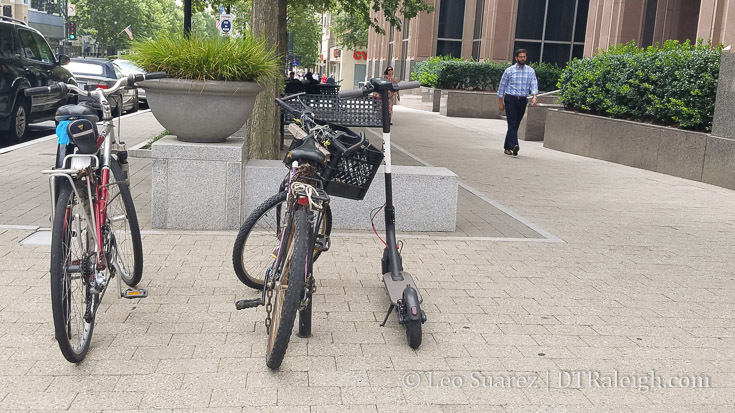 Join the discussion about dockless scooters on the DTRaleigh Community.